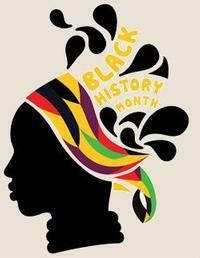 Our libraries have a full lineup of programs and activities this February to celebrate the rich intellectual and cultural contributions made by the African American community. We have everything from performances and special guests to dance workshops and cooking programs scheduled for this year's Black History Month celebration! Storytelling through the oral tradition or in writing is a beautiful mirror and a wondrous window into the African American experience. Folktales, for example, enable us to share stories across generations and celebrate cultural traditions. Join special guests Progeny’s Legacy Jamaal at the Thomas F. Donatucci, Sr. Library or stop by the the Kingsessing Library for "Folktales Out of Africa" to experience the uplifting power of stories. Learn about Black authors and illustrators by going on a scavenger hunt at the Blanche A. Nixon Cobbs Creek Library or blur the lines between creator and creation during a Poetry Mashup at Walnut Street West Library. While visiting the Walnut Street West library, you can share your own story by making quilt squares. At the end of the month, the squares will be assembled into a story quilt and displayed in the library. 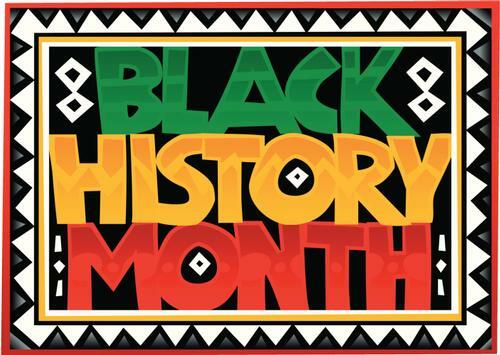 History comes alive at the Blanche A. Nixon Cobbs Creek Library, where children will learn about historical events and famous African-American scientists by participating in Black History Month Bingo or an Inventors Showcase. There will be a fun Bessie Coleman-inspired paper airplane program over at the Eastwick Library. 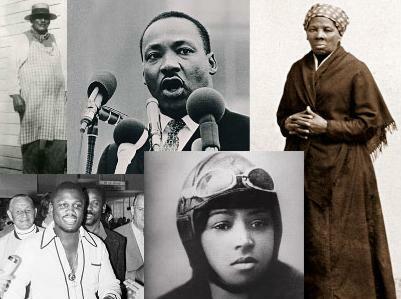 The Haverford Library is holding a month-long Black History Month Challenge, where participants will be asked to use their visual skills and historical knowledge to identify famous African-American Philadelphians. If you are interested in art and music, then don’t miss the Outsider Art series at the West Oak Lane Library being held every Saturday in February. Join the Drum Circle at Eastwick Library or Overbrook Park Library, to learn about and play percussion instruments. Bring the whole family to Sundays on Stage to participate in the interactive show, Eda Ne Kakati (From the Past to the Present). Check our calendar for more fun, informative programs and events the entire month of February, as well as browse through our Black History Month Explore Topic for resources on African American history and culture including famous African Americans From Philadelphia, Poets and Poetry, Speculative Fiction, Nonfiction, Books for Early Readers, The Harlem Renaissance, Tuskegee Airmen, Scientists and Inventors, Politics, Black Colleges and Universities, and Black History Month events throughout the Philadelphia area! Check our calendar for more fun, informative programs and events the entire month of February! I WILL CELEBRATE BLACK HISTORY MONTH BY ATTENDING AND SUPPORTING ALL THE EVENTS FOR BLACK HISTORY, HERE IN PHILADELPHIA, AT THE CHURCH I ATTEATTEND. Thank You Gracefully FOR GIVING ME A PEACEFUL BLESSING OF MY SELF MAY YOU COUNTINUE TO REMIND SELF OF WORK THAT HAS TO BE DONE THREW YOUR HIGHER POWER!! PEACE ! LILLITH !! Add a Comment to How Will You Celebrate Black History Month?